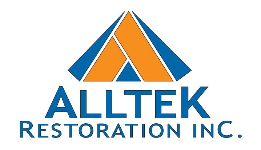 Emergency Services | Alltek Restoration, Inc.
Post loss condition of a structure or dwelling can vary and is specific to each type of loss and the severity of the damage that has occurred. Determining the cause of the loss and the affected area is the first step and often most important. How and what steps are taken can have major impact on further damages and what is necessary to prevent or limit further damages to a structure. Alltek Restoration, Inc. provides all emergency or temporary services which your property may require. Services can include the following: manipulation, both salvageable and non-salvageable / total loss inventory, packing for on or off site storage, cleaning and restoration, and pack back after repairs.